A Family and A Fistful of Coupons: Point and Shoot! My good old reliable Canon PowerShot A430 camera conked out a couple of weeks back. Since then I have been looking for a replacement. This old camera had given me tons of memories. Especially those videos I took while learning Biketrials. When I first took the PowerShot A430 to a Canon's service and repair outlet, I was told by the technician there that the cost of replacing the faulty parts would be better spent on a new Canon camera that came with better specs and feature. He told me to look for a new Canon camera that I liked, and he will give me a discount off the selling price. Hence, I have been scouting for a Canon camera since. Although my choice was limited to Canon models due to the discount I could get from Canon, I was still gonna look at other camera brands to make sure that I was getting the latest feature set at least... LOL. High resolution enough for me to get a good print when I needed one. Like what was written in this article, Photography on Display, "... part of the enjoyment comes from actually taking the photographs - the process is not only a means to an end, but is part of what makes photography so irresistible for most of us. The end result is always the goal, but actually going out and taking the photographs is definitely part of the fun." 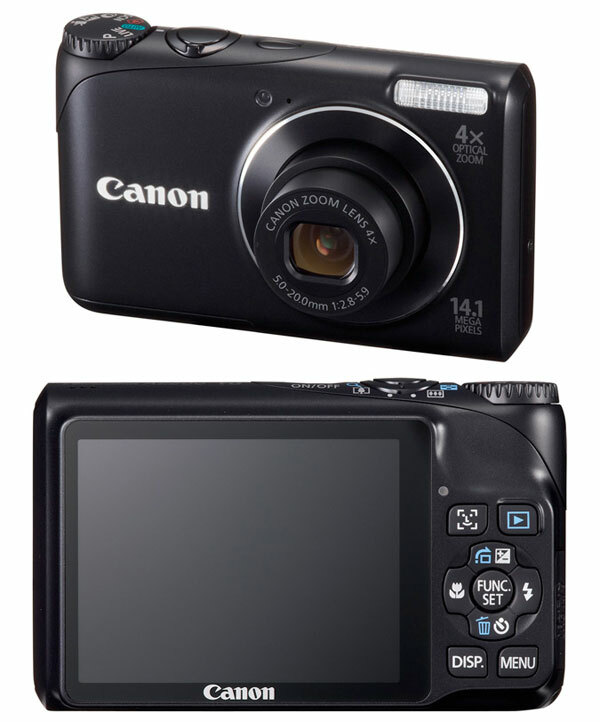 After scouring some photography and camera sites, I decided to stay with Canon and managed to find a model that I liked, the Canon PowerShot A2200. The camera is packed with features that I probably will not use often. Check out the specs here, and it only cost me about USD80 or RM289! I was advised by a friend (Tiensoon) to consider getting a DSLR. Well, I told him that he is a freelance professional photographer and has a necessity for one. Not me :-) In fact, he should look to further elevate his skills and scope, to even exhibit at a place like the Park West Gallery, (which incidentally, also runs the Park West Gallery Foundation, a non profit organisation that organise and does charitable work for the community). This is the camera owned by Tiensoon, the Olympus PEN E-PL2, a thing of beauty, but way out of my league... LOL. As for myself, I shall strive to just point and record memories that I hope one day will tell a tale to my children of the many things I have done or tried to do... LOL.